Born, Konstantin Eduardovich Tsiolkovsky (at Izhevskoye, Russia, "new style" date), inventor, pioneering rocket scientist - "The Earth is the cradle of humanity, but one can not live in a cradle forever!" Konstantin Eduardovich Tsiolkovsky (17 September (5 September "new style") 1857 - 19 September 1935) was a Russian rocket scientist and cosmonautics pioneer. As a child he caught scarlet fever and became hard of hearing. He was not accepted at elementary schools because of his hearing problem, so was home schooled until 16. Nearly deaf, he worked as a high school mathematics teacher until retiring in 1920. Tsiolkovsky theorized many aspects of space travel and rocket propulsion. He is considered the father of human space flight and the first man to conceive the space elevator, after visiting Paris in 1895 and becoming inspired by the newly-constructed Eiffel Tower. His most famous work was "The Exploration of Cosmic Space by Means of Reaction Devices," published in 1903, and arguably the first academic treatise on rocketry. Tsiolkovsky proposed the construction of staged rockets in his book "Cosmic Trains" in 1929. He first calculated the escape velocity from the Earth into orbit was 8 km/second and that to achieve this, a multi-stage rocket fueled by liquid oxygen and liquid hydrogen was required. During his lifetime he published over 500 works on space travel and related subjects, including science fiction novels. Among his works are designs for rockets with steering thrusters, multi-stage boosters, space stations, airlocks for exiting a spaceship into the vacuum of space, and closed cycle biological systems to provide food and oxygen for space colonies. He was also an adherent of philosopher Nikolai Fyodorov, and believed that colonizing space would lead to the perfection of the human race, with immortality and a carefree existence. Unfortunately, his pioneering ideas didn't make it out of Russia in a timely manner, and the field lagged until German and other scientists independently made the same calculations decades later. Friedrich Zander became enthusiastic about Tsiolkovsky's work and active in promoting and developing it. In 1924, he established the first Cosmonautics Society in the Soviet Union, and later researched and built liquid-fueled rockets named OR-1 (1930) and OR-2 (1933). On 23 August 1924 Tsiolkovsky was elected as a first professor of the Military-Air Academy N. E. Zhukovsky. The basic equation for rocket propulsion, the Tsiolkovsky rocket equation, is named after him. G. Neujmin discovered asteroids #848 Inna and #917 Lyka. Dr. Peter Edward Glaser (5 September 1923 – 29 May 2014) was a Czechoslovakian-born American scientist and aerospace engineer, who patented the solar power satellite concept, among his many other achievements. He was employed at Arthur D. Little, Inc., Cambridge, MA (1955-'94), serving as Vice President, Advanced Technology (1985-'94), and subsequently as a consultant to the company (1994–2005). He was president of Power from Space Consultants (1994–2005), and retired in 2005. Dr. Glaser's work covered many important areas in both Earth-bound and space development. His professional papers and some of his personal papers (32 cubic feet in 96 boxes) are on deposit at the Massachusetts Institute of Technology Library Archives. S. Belyavskij discovered asteroids #1004 Belopolskya and #1005 Arago. S. Belyavskij discovered asteroids #1153 Wallenbergia and #1874 Kacivelia. K. Reinmuth discovered asteroid #1184 Gaea. O. Oikawa discovered asteroid #1098 Hakone. K. Reinmuth discovered asteroid #1419 Danzig. Wiley Post made the first flight using a practical pressurized suit, reaching a 40,000 foot altitude above Chicago. In the first flight using the suit on 5 September 1934, Post reached an altitude of 40,000 feet above Chicago. Eventually flying as high as 50,000 feet, Post discovered the jet stream and made the first major practical advances in pressurized flight. P. Shajn discovered asteroid #1648 Shajna. C. Jackson discovered asteroid #3768. Goethe Link Observatory discovered asteroid #2996 Bowman. USSR Sputnik 4 (Korabl Sputnik I) re-entered the Earth's atmosphere after 844 days in orbit, a piece of which fell in Manitowoc, Wisconsin. NASA launched the first Orbiting Geophysical Observatory (OGO-1). The purpose of OGO 1, the first of a series of six Orbiting Geophysical Observatories, launched 5 September 1964, was to conduct diversified geophysical experiments to obtain a better understanding of the Earth as a planet, and to develop and operate a standardized observatory-type satellite. OGO 1 consisted of a main body that was parallelepipedal in form, two solar panels, each with a solar-oriented experiment package (SOEP), two orbital plane experiment packages (OPEP) and six appendages EP-1 through EP-6 supporting the boom experiment packages. One face of the main body was designed to point toward the Earth (+Z axis), and the line connecting the two solar panels (X axis) was intended to be perpendicular to the Earth-Sun-spacecraft plane. The solar panels were able to rotate about the X axis. The OPEPs were mounted on and could rotate about an axis which was parallel to the Z axis and attached to the main body. Due to a boom deployment failure shortly after orbital injection, the spacecraft was put into a permanent spin mode of 5 rpm about the Z axis. This spin axis remained fixed with a declination of about -10 deg and right ascension of about 40 deg at launch. The initial local time of apogee was 2100 h. OGO 1 carried 20 experiments. Twelve of these were particle studies and two were magnetic field studies. In addition, there was one experiment for each of the following types of studies: interplanetary dust, VLF, Lyman-alpha, gegenschein, atmospheric mass, and radio astronomy. Real-time data were transmitted at 1, 8, or 64 kbs depending on the distance of the spacecraft from the Earth. Playback data were tape recorded at 1 kbs and transmitted at 64 kbs. Two wideband transmitters, one feeding into an omnidirectional antenna and the other feeding into a directional antenna, were used to transmit data. A special-purpose telemetry system, feeding into either antenna, was also used to transmit wideband data in real time only. Tracking was accomplished by using radio beacons and a range and range-rate S-band transponder. Because of the boom deployment failure, the best operating mode for the data handling system was the use of one of the wideband transmitters and the directional antenna. All data received from the omnidirectional antenna were noisy. During September 1964, acceptable data were received over 70% of the orbital path. By June 1969, data acquisition was limited to 10% of the orbital path. 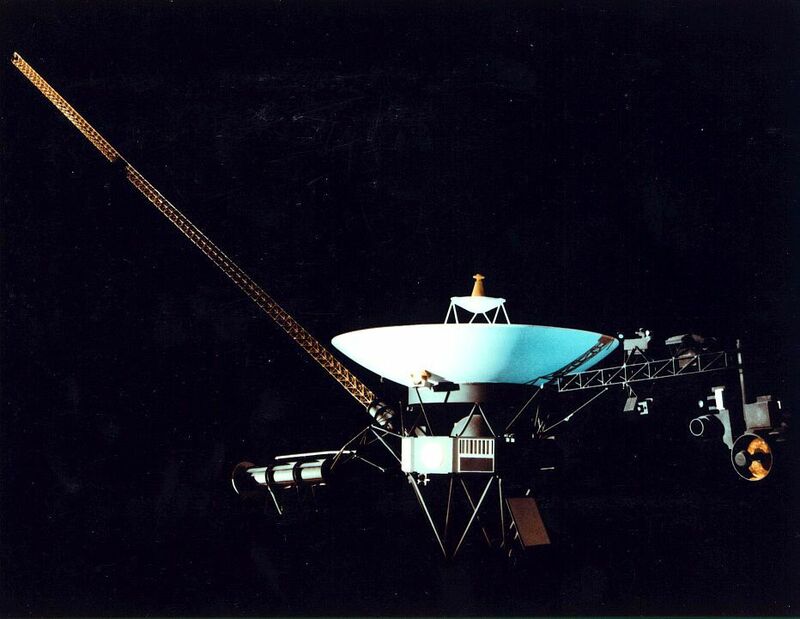 The spacecraft was placed in a standby status 25 November 1969, and all support was terminated 1 November 1971. By April 1970 the spacecraft perigee had increased to 46,000 km and the inclination had increased to 58.8 deg. P. Wild discovered asteroid #1906 Naef. H.-E. Schuster discovered asteroid #3496 Arieso. NASA launched Voyager 1 to Jupiter, Saturn, and out of the Solar system. N. Chernykh discovered asteroids #2610 Tuva, #2859 Paganini, #2969 and #3072 Vilnius. Pluto reached perihelion (its closest approach to the Sun), at a distance of 29.66 AU (4.4 billion kilometers, 2.7 billion miles). L. Brozek discovered asteroid #3603; Oak Ridge Observatory discovered asteroid #2872 Gentelec. NASA's STS 8 (Challenger 3, 8th Shuttle mission) ended after carrying India's INSAT-1B multipurpose satellite to orbit and six days of experiments in space, with the first African-American to fly to space aboard. STS 8 was launched 30 August 1983 after a 17 minute delay due to weather. During the flight, INSAT-1B, a multipurpose satellite for India attached to a Payload Assist Module-D (PAM-D) motor, was deployed. The nose of the orbiter was held away from the Sun for 14 hours to test the flight deck area in extreme cold. For the Development Flight Instrumentation Pallet (DFI PLT), the crew filmed the performance of an experimental heat pipe mounted in the cargo bay; also, the orbiter dropped to an altitude of 139 miles to perform tests on thin atomic oxygen to identify the cause of the glow that surrounds parts of orbiter at night. The remote manipulator system was tested to evaluate joint reactions to higher loads. Biofeedback experiments included six rats flown in the Animal Enclosure Module to observe animal reactions in space. Other payloads on STS 8 included: the Continuous Flow Electrophoresis System (CFES); a Shuttle Student Involvement Program (SSIP) experiment; the Incubator-Cell Attachment Test (ICAT); Investigation of STS Atmospheric Luminosities (ISAL); Radiation Monitoring Equipment (RME); and five Get Away Special experiment packages including eight cans of postal covers. Testing was conducted between Tracking and Data Relay Satellite-1 (TDRS-1) and the orbiter using the Ku-band antenna, and investigations continued on Space Adaptation Syndrome. STS 8 ended 5 September 1983 when Challenger landed on revolution 98 on Runway 22, Edwards Air Force Base, California. Rollout distance: 9,371 feet. Rollout time: 50 seconds. Launch weight: 242,742 pounds. Landing weight: 203,945 pounds. Orbit altitude: 191 nautical miles. Orbit inclination: 28.5 degrees. Mission duration: six days, one hour, eight minutes, 43 seconds. Miles traveled: 2.5 million. Challenger was returned to Kennedy Space Center on 9 September 1983. The flight crew for STS 8 was: Richard H. Truly, Commander; Daniel C. Brandenstein, Pilot; Dale A. Gardner, Mission Specialist; Guion S. Bluford, Jr., Mission Specialist (first African-American in space); William E. Thornton, Mission Specialist. NASA's STS 41-D (Discovery 1, 12th Shuttle mission) ended after carrying the SBS-D, SYNCOM IV-2 and TELSTAR satellites to orbit, and six days of experiments. The STS 41-D launch attempt on 25 June 1984 was scrubbed during the T-9 minute hold due to failure of the orbiter's back-up general purpose computer (GPC). The launch attempt 26 June was aborted at T-4 seconds when the GPC detected an anomaly in the orbiter's number three main engine. Discovery was returned to the OPF (Orbiter Processing Facility), and the number three main engine was replaced. To preserve the launch schedule of future missions, the 41-D cargo was remanifested to include payload elements from both the 41-D and 41-F flights, and the 41-F mission was canceled. The Shuttle was restacked and returned to the pad. 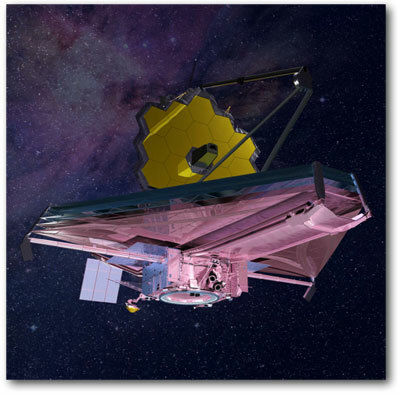 The third launch attempt on 29 August was delayed when a discrepancy was noted in the flight software of Discovery's master events controller. The launch on 30 August was then delayed six minutes 50 seconds when a private aircraft intruded into the warning area off the coast of Cape Canaveral. During STS 41-D, three satellites were deployed: Satellite Business System SBS-D, SYNCOM IV-2 (also known as LEASAT 2) and TELSTAR. The 102 foot by 13 foot Office of Application and Space Technology-1 (OAST-1) solar wing was extended from the payload bay. The wing carried different types of solar cells, and was extended to full height several times. It demonstrated large lightweight solar arrays for future use in building large facilities in space such as the International Space Station. Other payloads aboard STS 41-D included: Continuous Flow Electrophoresis System (CFES) III; Radiation Monitoring Equipment (RME); Shuttle Student Involvement Program (SSIP) experiment; IMAX camera, being flown its second time; and an Air Force experiment, Cloud Logic to Optimize Use of Defense Systems (CLOUDS). STS 41-D ended 5 September 1984 when Discovery landed on revolution 97 on Runway 17, Edwards Air Force Base, California. Rollout distance: 10,275 feet. Rollout time: 60 seconds. Launch weight: 263,477 pounds. Landing weight: 201,674 pounds. Orbit altitude: 184 nautical miles. Orbit inclination: 28.5 degrees. Mission duration: six days, zero hours, 56 minutes, four seconds. Miles traveled: 2.5 million. The landing was planned for the Edwards desert runway because it was Discovery's first flight. The orbiter was returned to Kennedy Space Center on 10 September 1984. The flight crew for STS 41-D was: Henry W. Hartsfield, Jr., Commander; Michael L. Coats, Pilot; Judith A. Resnik, Mission Specialist 1; Steven A. Hawley, Mission Specialist 2; Richard M. Mullane, Mission Specialist 3; Charles D. Walker, Payload Specialist 1. H. Debehogne discovered asteroids #3456 and #3457. USSR launched Molniya 1-68 from Plesetsk, replacing Molniya 1-57 in operation of the long range telephone and telegraph radio communications system in the USSR, and in transmission of USSR Central Television programs to stations in the Orbita network. Japan launched the Himawari 4 (GMS 4) weather satellite from Tanegashima to improve meteorological observations and develop meteorological satellite technology, positioned geosynchronously at 160 deg E 1989; 140 deg E 1989-1995; 120 deg E 1995-1999. USSR launched Soyuz TM-8 from Baikonur to the Mir space station with the Mir Expedition EO-05 crew aboard. USSR launched Soyuz TM-8 from Baikonur to the Mir orbital station on 5 September 1989 for the Mir Expedition EO-05 mission, which docked with Mir on 8 September. Soyuz TM-8 transported a team consisting of A S Viktorenko, commander of the spacecraft, and A A Serebrov, on-board engineer, to carry out scientific and technological research and experiments. The flight cost 80 million rubles, and the Soviets expected a return of 25 million rubles net profit. Soyuz TM-8 landed 19 February 1990, returning Viktorenko and Serebrov to Earth after a mission elapsed time of 166 days, 6 hours, 58 minutes, 15 seconds. Russia launched a Kosmos 11K65M booster from Plesetsk which carried their Cosmos 2334 military navigation satellite and Mexico's Oscar 30 amateur radio satellite to orbit. A Proton-K/DM-2M launched from Baikonur carried Sirius Radio's Sirius 2 (SD-RADIO 2) satellite to orbit to provide digital radio broadcasts to mobile users in North America from a 24,521 x 47,051 km orbit at 64 deg W.
NASA awarded TRW a $824 million contract to build the Next Generation Space Telescope (the James Webb Space Telescope), which is to replace the Hubble Space Telescope. Launch of the 6 meter aperture telescope is now planned for 2021 on an ESA Ariane 5.